This lamp looks so modern right? Actually it was designed over 50 years ago by Arne Jacobsen. Now that is what you call classic. You might have heard his name from some of his other famous designs such as the Ant Chair, the Egg Chair and the Swan Chair. 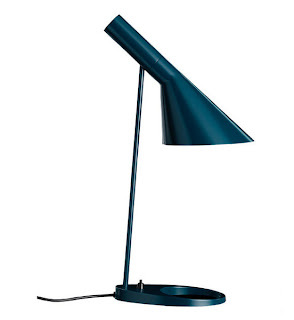 Still very popular designs today, but they might need to fit the style of your home more than this simple desk lamp. Available in seven great colors, it provides an adjustable head and is also available in wall lamps. Click here to explore the iconic designs of Arne Jacobsen.